Pittsburgh PA: Brady Stewart Studio on location for Morton Frozen Pies at Gateway Center in downtown Pittsburgh - 1957. Assignment was for Ketchum McLeod and Grove Advertising. Brady Stewart Jr. and Ross Catanza handled the unique assignment. 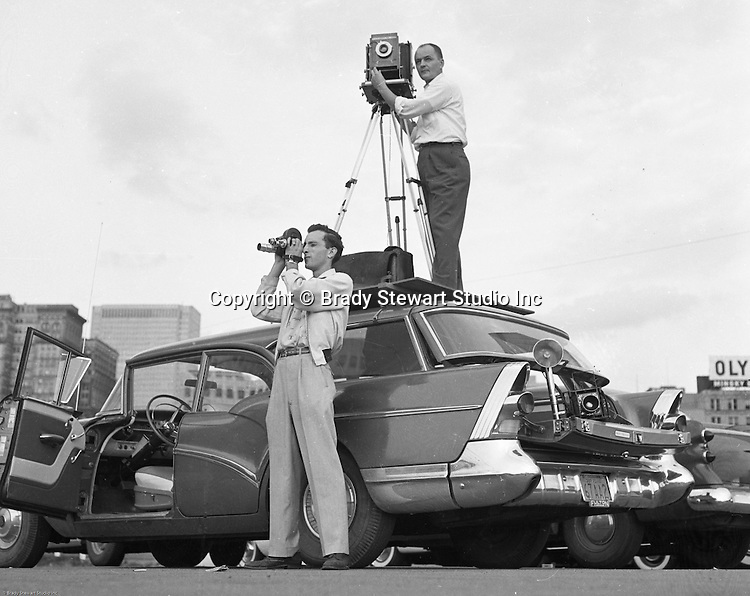 View of Brady Stewart Jr. on top of the family's new 1957 Buick station wagon to get the right height for the shot and Jim Garvey shooting a 16mm film of the event.